Kirkland - LASK Roofing & Siding, Inc. These shingles have deteriorated and are showing fiberglass strands. 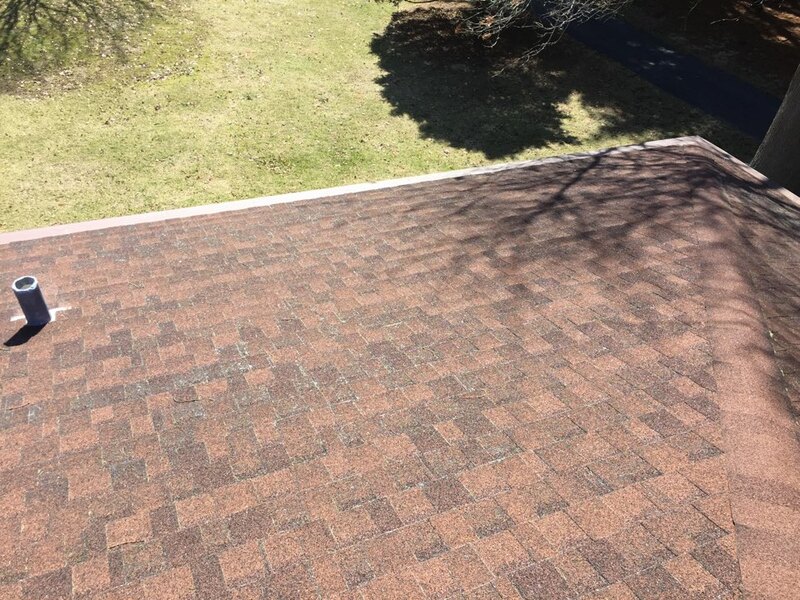 We are replacing this roof with Certainteed Landmark shingles.